Remove the camshaft bearing cap bolts in a spiral sequence as shown one turn at a time until there is no spring tension pushing on the camshaft. Mind the markings on the camshaft bearing caps to ensure they will be installed in the same position. Remove the 10 camshaft bearing cap bolts (1). 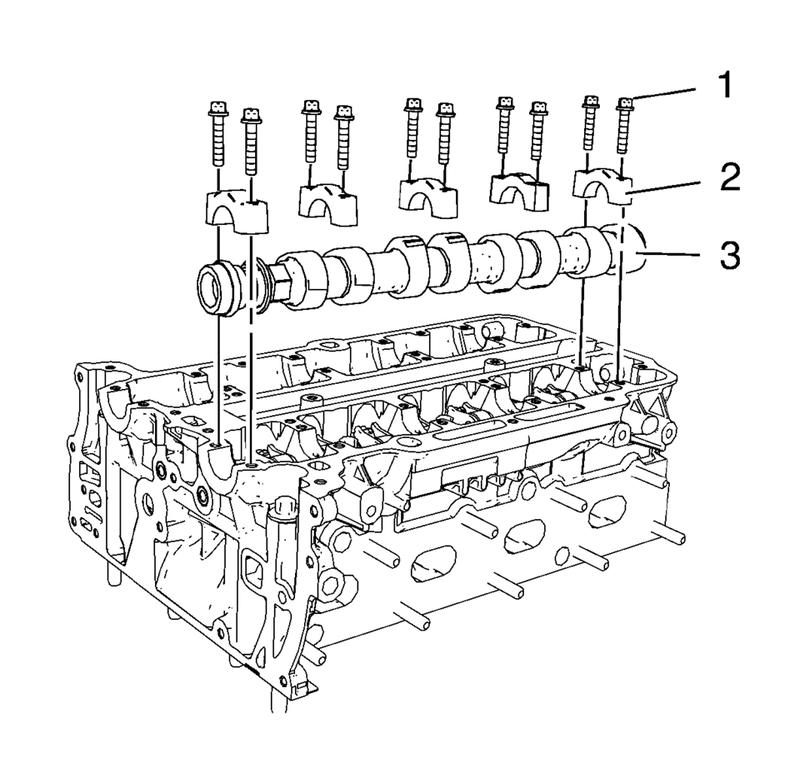 Remove the 5 camshaft bearing caps (2).